Following my disastrous Christmas trip to Poland at the end of last year, a good deal of discussion took place between me, British Airways, Heathrow Airport Limited (HAL) and the contracted provider of assistance, Omniserv. Together with my fellow BDF associate, Simon Minty, I insisted upon a meeting at which all three parties (airline, airport operator and service provider) were present. In the event, BA didn’t send a representative but more than made up for it by arranging a separate meeting with one of their young, rising stars. 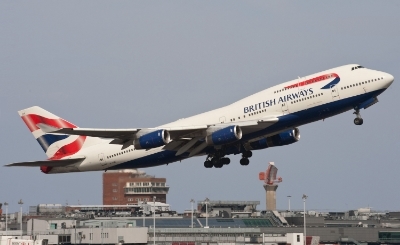 She and I agreed that - contractual and legal complexities aside - when you buy a BA ticket, you deserve to have a BA experience which includes the way you are treated at the airport. “Heathrow is just so enormous and there are too many people who ask for assistance when they don’t really need it,” complained HAL and Omniserv. Nonetheless, we were invited to sit in on a training session - but it was subsequently decided that the presence of a couple of disabled people would be too disruptive for Omniserv agents undergoing their initial training. The content was shown to us in a private meeting instead. As Simon was unable to accompany me that day, I asked Christiane Link - a German-born journalist, frequent traveller and wheelchair user. Among her many clients is the German national carrier, Lufthansa. Technically, the content of the training was up to scratch. But Christiane and I both identified an underlying philosophical problem which goes to the heart of why passengers travelling through the UK’s largest and busiest airport don’t get the service that they should. The independent living movement and disability rights advocates on both sides of the Atlantic developed a new framework for looking at disability in the 1970s. It became known as the social model of disability. It contends that people are not disabled by their impairments but by the interaction of their impairments with barriers in society. These barriers can be social, economic and (as is so often the case) attitudinal. Equality will only be achieved once the barriers or obstacles - that disabled people encounter on a daily basis - are removed. It’s one thing to provide a step-free environment (which is usually the case in airports in the developed world) but quite another thing to ensure that staff regard people with disabilities as passengers whose rights need to be upheld and whose access to air travel needs to be facilitated. She was right: without needing to communicate, we had both reached the same conclusion independently. Omniserv’s training manager has a world of experience around disability but much of this comes from the healthcare sector. “I tell my staff to treat disabled passengers as if they were their favourite uncle or grandparent - that they need looking after as they come through the airport,” he told us. Here is the problem in a nutshell: Omniserv are taking staff - many of whom come from cultures where disability is regarded almost as taboo - and training them to consider passengers with disabilities as people who need care and condescension, rather than active and engaged citizens going about their business. Our feedback was duly noted and, we were assured, the social model would be included in the next version of Omniserv agents’ training. Of course, the acid test of whether things had improved since Christmas would be to do the same journey again. Fortunately, I was due to fly from London to Warsaw and back again in early-mid July. BA’s new booking system now meant that I was able to request my assistance online rather than dealing with someone in a call centre several thousand miles away. Unfortunately, although I requested assistance as someone with impaired vision, I got a chirpy, automated email response telling me that my wheelchair had been booked! Hopefully, it is simply a matter of BA updating its auto-response emails to reflect the diversity of passengers’ needs. Unusually, the Heathrow to Warsaw flight leaves from Terminal 3, rather than BA’s dedicated Terminal 5. An added complication is the fact that the aircraft departs from a gate where there is no air bridge available and so transfer is via a bus and steps. Having encountered this problem in December, I asked the agent who met me from the bag drop whether he would be able to assist me all the way to the aircraft, and was assured that he would. This time, I had a short but pleasant stopover in BA’s lounge - there was even time for a pre-holiday glass of Champagne. The customer services lady in the lounge spotted me as I emerged from the bathrooms and told me she would just, “remind them about your wheelchair”. When I insisted that I needed assistance but not a wheelchair, she dismissed it with a wave of her hand. Of course, having been asked for a wheelchair, the new Omniserv agent turned up with one. He soon ditched it though. Then there was the thorny question of whether he could come to the aircraft with me. “We’re not allowed to for security reasons,” he said. So I was left with a choice: either one of the BA ground crew would come on the bus with me to the aircraft or I could use the ‘high lifter’. For those unfamiliar with high lifters, imagine a box van that rises several meters into the air. One is ‘loaded’ at ground level, the van drives to the aircraft door (the one on the opposite side of the plane) and the high lifter then ascends to the height of the aircraft. Such technology is no doubt incredibly useful when wheelchair-using passengers are boarding in the absence of an air bridge. I reluctantly consented to use the high lifter - only because it was already being deployed for another passenger with restricted mobility (PRM). In spite of BA’s fancy online booking system for assistance, Angela - an experienced purser who’s been 29 years in the job - said they would have to radio ahead to alert assistance in Warsaw. “Don’t worry, I’ll sort out the wheelchair,” she told me. When I reminded her that I wasn’t in need of one, she said that it was the only way to get assistance. Make sure that all staff know that less than 10% of disabled people are wheelchair users - we are a diverse community and one size certainly does not fit all. Helping disabled travellers onto aircraft where there is no air bridge is not rocket science - expensive resources like high lifters should only be deployed for those who really need them. There should be an agreed procedure for everyone else - hopefully one based upon common sense. In all likelihood, I will be undertaking exactly the same journey at Christmastime. Let’s hope that some of these unnecessary wrinkles can be smoothed out before then. Farewell to Cambridge – or is it Au Revoir? Who is the GAS man?